In the present work, microwave heating route (MH) is used to prepare Fe–Pt nanoparticles and the results are compared with the materials obtained by conventional heating routes (CH). 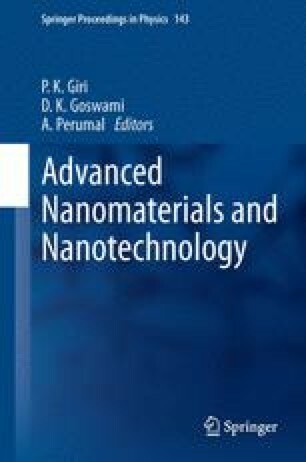 The effects of conditions of heating (microwave power, irradiation time, temperature) on the growth process of Fe–Pt nanoparticles are systematically investigated. The as-prepared Fe–Pt NPs by microwave heating route are observed in ordered face centered tetragonal (fct) L10 phase without any post-synthesis treatment, while conventional heating route gives rise to disordered face centered cubic (fcc) phase. The hysteresis measurements are performed at 300 K to study magnetic properties of as-synthesized Fe–Pt as a function of mode of heating and crystallite size. Conventionally, synthesized Fe–Pt (NPs) shows super paramagnetic behavior, while microwave-assisted sample exhibits ferromagnetic behavior. The particle size and magnetic properties of the as-prepared Fe–Pt are observed to be very sensitive to the preparative parameters such as microwave irradiation power and temperature, while influence of reaction time is insignificant. Size dependent magnetic behavior of microwave-assisted synthesized samples shows that coercivity and saturation magnetizations are observed to be decreasing with particle size. The microwave-assisted route is found to be a simple technique for direct synthesis of metal alloys and tuning particles size at nanoscale may prove to be a potential tool of high density data storage materials such as Fe–Pt. The authors also thank Dr. S. K. Kulkarni, Professor, IISER, Pune for magnetic characterization and Dr. R. M. Singru, Professor, IIT Kanpur for fruitful discussion and suggestion. This work is part of SAP programme, UGC, New Delhi.